Join us this week as we welcome Vintage Country Pop music singer songwriter, Whitney Rose. Hailing from Charlottetown,PE.CA., Whitney stormed onto the Toronto singer-songwriter scene in 2011 and has endeared herself to just about everyone with her powerful voice, immense personal charm, and throwback style influenced by Patsy Cline, Kitty Wells and, gender-be-damned, the likes of Tom T. Hall and George Jones. 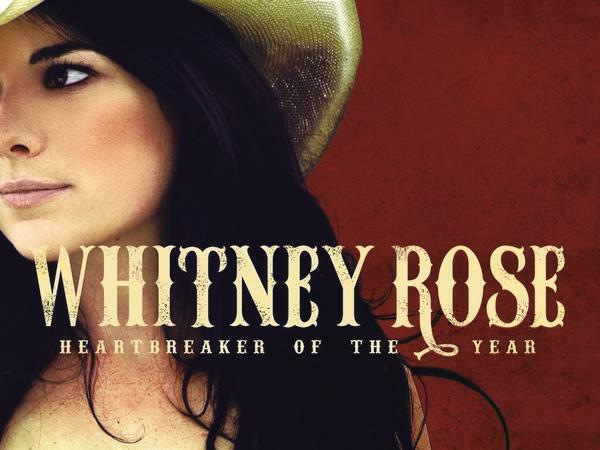 Whitney Rose is in the throes of album-birth with her sophomore effort “Heartbreaker of the Year.” The record was released in Canada on April 21st through Cameron House Records to much acclaim, and Rose has been busy supporting it with constant touring across the country. The album will be released in the United States and rest of world late August 2015 through Redeye Worldwide. "Heartbreaker Of The Year" was mixed at Capitol Records by Niko Bolas (Neil Young, Keith Richards, Rod Stewart). Rose describes her music as 'vintage-pop-infused-neo-traditional-country,' usually with a chuckle, and admits "The record is a little weird, it's a little quirky, but so am I. I went out and made a record that was true to me, not one with its singular purpose being its viability on country music radio.” Whitney may be young, but don’t let that fool you. There’s an ancient appeal to her. "Heartbreaker Of The Year" is available Now worldwide at all better digital outlets. We will talk to Whitney about her upcoming schedule, get a behind the scenes look at her music, feature her latest songs, and ask her to share her message for the troops. Please be sure to visit Whitney Rose at http://whitneyrosemusic.com/ and spread the word. As always we will give shout outs to our deployed military listeners. Be sure to join us, Sunday 10/11/2015 at 4 PM EDT! Our message to the troops: WE do what we do, because YOU do what you do.